We all love a freebie. No matter how much we can afford, we’re never going to be disappointed when something of quality comes our way that we didn’t have to pay for. This can be many of things, but especially games. If it’s Humble Bundle, Steam offer or something given by the developers themselves, whether a full game or just some DLC, we can’t get enough. There are many great games out there that cost money, but there are many gems that won’t cost a thing. It’s hard to say more about Hearthstone. 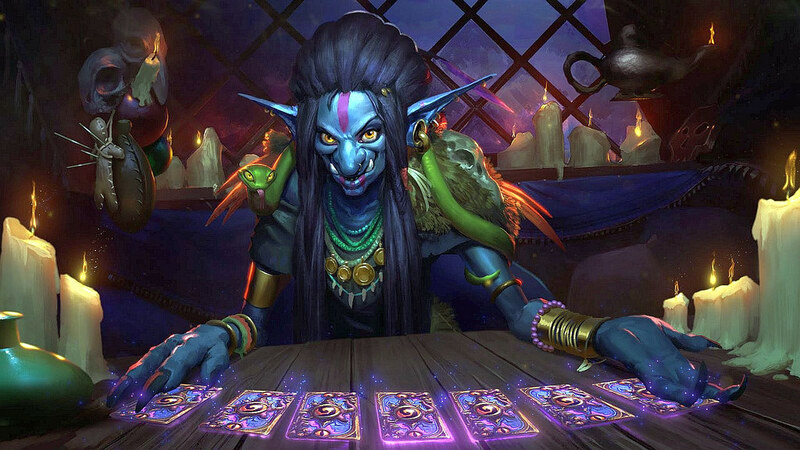 The collectible card game from Blizzard has consistently been hugely popular. Taking characters and ideas from their Warcraft brand and making a card game has paid off big time. Millions of people play it every day and it’s constant updates, with new cards, balance changes, new modes and more, keeping fans hooked. The best part of course is that you can download and play the game without paying a thing. Though it can be hard to amass certain cards without paying, a casual gamer can get a lot out of this. They can go single or multiplayer without ever parting with penny and have fun in the process. Casino games don’t make you think of playing for free but it’s possible. While betting money to win big on slots, roulette, cards or whatever is a big appeal, sometimes you just want to relax and focus on the game itself. You can do this with CasinoSlotsGuru as they have many free slot games you can try without parting with any cash. There are themed games with gimmicks and design to make every machine different too, so you won’t just be playing one version of slots. You can have some simple fun or get a taste of the real games without worrying about any loses. If you enjoy yourself, you can then try some paid games and see if you can win. League of Legends. The big one. If Hearthstone was a successful free-to-play game, then this blows it out of the water. This multiplayer online battle arena game has been huge since 2009 and has legions of fans across the globe. Whether it’s casuals playing enjoyment or pro-gamers earning a comfortable living, it brings strategy, excitement and unique fantasy setting to the player. Make a team and battle against real opponents, in several game modes. You pick a champion, with over one-hundred available, each with different abilities to help you create strategies and try something new. The paid content comes in the form of purchasing Champions so they’re always available (as dropseed to the free rota of currently playable characters) and cosmetics. You could play this game and no other, all without paying a thing. The League of Legends approach has been applied to various games and genes, with one of them being Killer Instinct for the Xbox One and PC. Fighting games have always been a great blend of people messing about with their friends to experts who study the frame data. They can bring people together in many ways and always be fun to play. If you want to dip your toe in this genre then look no further. Killer Instinct (2013) is a reboot of the series from the 90s and allows you to compete in fast, combo heavy battles. With a crazy cast of characters that includes, werewolves, vampires, martial artists, robots, skeletons, a Battle Toad and more, you can try them for cheap. You can download the game for free, with a character or two free-to-play at any time and then being replaced with others over time. You have most modes available to, including online versus, with the option to buy a single character or a pack, if you want to have your main always available. MMOs are often known for having subscriptions to pay, but some of them can be enjoyed for free. Such games will usually let your play to your heart’s content with some money needing to be spent on certain things, such as equipment, surpassing level caps, etc. The one I’d recommend is MapleStory. This charming side scrolling RPG has a lot to offer with colourful worlds to explore and interesting characters to meet. Defeat monsters, gain skills and equipment are the goal, while you interact and team up with other real world players. There is an item store that takes real money, but you can happily pay without forking over any cash.